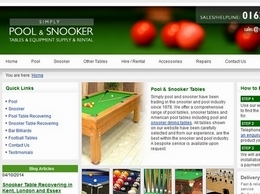 Simply Pool and Snooker provides pool and snooker tables for hire and sale with a wide range of services to offer alongside such as recovering, removals and repairs. Our friendly team is on hand to help you make the right choice today. 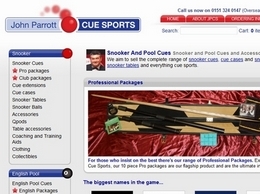 Need a new cue, case or accessory to improve your game in one of the many cue sports available? We have a huge range of products to order online 24/7 with an affordable price tag. Established in September 1982 we have been specializing in the manufacture of quality Snooker and Pool tables ever since. 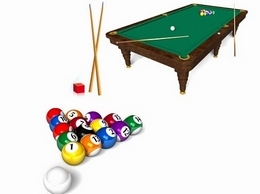 PLC Billiards deals with under size Snooker and Pool tables and although based in Nelson nearr Burnley, Lancashire, we operate throughout the UK. Are you an air hockey fan? Check out our air hockey table buying guide and read our reviews. Gold Standard, Playcraft, Valley-Dynamo, Atomic, Harvil, Viper, Harvard and other major brands included. JumpFlex trampolines with net enclosures are some the most rugged & safe trampolines for sale in New Zealand. To read more about our 10ft, 12ft and 14ft trampolines for sale as well as an awesome range of trampoline accessories, visit the our site today. KikinGrass Soccer gamekit comes w 2 unique mini soccer goals, an official size 3 youth soccer ball, ball pump and game play instructions. Play 2 vs 2 up to 21 or 1 of the many other game options. Score with KikinGrass. Fun for all ages.